Today in our busy and packed schedule we do not find time to read books. During our ancestor’s time reading book was a part of everyday life. If we have time to read books we think do we have any good books in the market that can make us happy while reading or can give some insight about life or even can help us in our daily work. The answer is yes. There are plenty of books available in the market – both hardcopy and eBooks – that can help you gain knowledge regarding varied interest. If you are fancy about eBooks load them in your Kindle. It’s very simple to upload eBooks in your kindle. 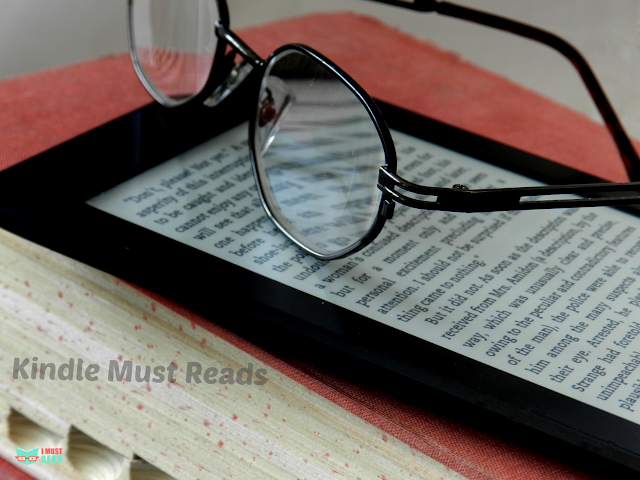 Amazon has brought revolution to upload eBooks onto your Kindle device. You just need to visit the online public library get the library card and PIN. Punch the card number and PIN you are into the library to choose the book. This works on a cloud computing technology and makes it real simple to store and read your favorite book. Today we have lots of books available for us you just need to make time to pick the best among the lot and start reading. This book is a treasure for lifetime. From the first line "When he was nearly thirteen..." the author Harper Lee has hooked the reader with the book that describes a deceptively simple story of a Southern family. The book has the capability to enthrall the reader till the last chapter. This is very well-written book that has the ability to make you laugh, cry and touch your heart. The USP of this book is its well-written characters. The book has the capacity to keep you engage and you cannot keep the book before finish reading it completely. See exclusive review of this book here. Great story, beautiful writing and wonderful characters are the USPs of this book. This book is masterpiece created by Khaled Hosseini after The Kite Runner and A Thousand Splendid Suns. You cannot leave this book if you have read the other two. This book has very interesting story and a quick read. The best part is it will hook you throughout your read. The book has a good story line and well developed characters. It is cleverly written mystery novel. The awesome twists and turns of the novel would surely keep you engrossed in the book. It is sure that once you start reading the book you cannot keep it down until you complete reading. Well-written, great characters and interesting story lines are the USPs of this book. The interest of the book remains intact from the beginning till the end. This is an amazing book and surely you cannot put it down until you finish reading. The characters of the story are unique, real and relatable. The great story of the book is blended with likable and great characters. It is recommended to read this book in one sitting – moreover the book will not allow you to leave it until completed. This is a very easy read book and you will surely enjoy the story of the book. In certain times you can relate yourself with the character Charlie. The story of the book is griping, startling and absolutely honest description. The character development and a great plot are blended in very perfect manner in this novel. The perspective of life is nicely depicted in this novel and best part of the novel the view of the main character towards the life. The story of the novel revolves around the central character Hannah who commits suicide and the tape that records the reason. The story is beautiful depiction of how a small thing or word of yours can affect another person and completely change them. The great description of the two main characters is so well done in the novel that it makes the book unique from others. The best part of the book is it gives a sense of hope to the reader while reading. The mystery in the relatable and interesting characters is the USP of this book. It is an interesting read with a story well-written and characters beautifully crafted. The adventurous, unconventional and interesting character of Margo will be surely liked by many. The story of the book is so well-written that you can actually sense and feel the lives of the characters of the story. This is a story about lives, love, survival, hope and endurance of women. If you want to read a wonderful story line with interesting characters, Water for Elephants: A Novel is the best one that you can have in your library. The story is written so well that it will be impossible to leave the book in the middle. The unique thing about the story of this book is the description of the art and stories behind the characters. You will surely love the wonderful characters and beautiful writing of the story. It is a fantastic story that will keep you interested from the beginning till the end. Hats off to the way the story goes back and forth from past to present. The reader will surely enjoy the read. The well depicted story of two women who are under slavery is a true USP of this novel. The two central characters of this story are well-characterized and a very good story line is the icing on the cake. An engaging story with well-developed characters is the main attraction of the novel. The interesting characters of the story make you glued to the novel. The characters created by Anna Quinlen are off beaten yet they have similarities. The good ending of the story is what every reader would like about this book. It’s a beautiful story of a girl who tries to find her own self and inner strength. The story so well narrated by the author in this novel. This book is an instant classic and is regarded as the best book of the year by many of its readers. Great characters blended with great story line and good writing is what you would see in this novel. If you are looking for a story about courage and survival this book is the best choice. The way the author has written the true story the reader would feel that the story is actually happening in the real time. This novel is an informative and intriguing work. The writing of the book is made in such a way that it would make you feel what the state of slavery was and you would surely feel the pain of the people who went through the state. The believable characters depicted by the author have a perfect blend with the great story line of the novel. The story is very touching and the reader would surely feel the same after reading this wonderful work of the author. This book is funny but interesting read. The behavior of the central character, Don, makes the reader feel how people should feel about someone special. It is an entertaining novel that every reader should read at least once. This novel is a depiction of story about unconditional love. This well written story has beautifully showed how an unconditional love can bring change in a child’s like. This book is recommended for every reader. This book can be described as tremendously entertaining book that contains a work of social satire that is blended with a mystery. This book has the capacity to glue its reader until it is completed. This is a story of a little girl who heals the adults around her. The way author narrated the story is beautiful. The book has the ability ot make you learn something that you can apply for the good of society. The best part of the novel is its interesting characterization. They all feel like real and well developed. The great story has made the characters more realistic. Once you start reading the book you will not be able to stop until you see the end. Well written and nicely interwoven stories along with the interesting characters are the USPs of this book. The author has beautifully narrated the story that is moving back and forth at various times of the era. This book has earned the stature that it is discussed in many book clubs. An interesting and well written story has made the book worth reading. The story has the capacity to provoke a thought in the readers’ mind. This book is page turner and the story is so beautifully written that it will urge you to read more as you would like to know what is there in the next page. The great narration by the author has made the book worth a masterpiece in your bookshelf. The author has shown his skills of developing the characters in the story of the novel. The beautiful narration of the story jumping from one era to another is flawless and the reader will understand it very clearly. Well versed characters of the story are the main base of the success of this novel. This book is recommended by many readers and book clubs. Once you start reading it you will get to know that it is a surprising treat. Author Adam Johnson has written a well-crafted story that would take the reader to an adventurous journey. It is a beautifully written fascinating story that can make you read through to the end of the novel. The book is based on a true story. The author has depicted the true story in very well versed manner. The narration of the author about the camp and the bad human behavior touches your heart. A good read about remembering the stuffs that you do not forget in your life. This book is recommended for every reader as it has clear explanation of the aim of the book. The experience of the central character Elie through Holocaust is clearly narrated. An interesting book to read – this is what can be said about this novel. Unprecedented twists and turns in the story would keep you engaged to the book and increase your interest in reading the book till the completion. This is a fascinating murder mystery that is deftly plotted. The story has so many twists and turns that it would keep you guessing who is the murderer and the motive of the murder. This is the USP of this novel. This is a fascinating murder mystery that is deftly plotted. The story has so many twists and turns that it would keep you guessing who is the murderer and the motive of the murder. This is the USP of this novel.This is a fantastic suspense thriller novel with lots of twists and turns in the story. An amazing and interesting book to read. Especially, for people who have a flair for reading mystery stories, this is the best one to have in the collection. It is an easy reading book for easy readers. An interesting story line blended with well-developed characters in the stuffs that a reader can expect from this novel. The twists and turns in the story keep the interest alive in the novel. This book is tale of two great protagonists. Great story telling of the author has moved the plot from one area to another in beautiful fashion. The mystery developed in the story is not only relevant but also well timed. The fast moving plot of the story keeps the interest of the novel alive for the readers. The unpredictable twists in the plot has made the novel a must read for the readers. Once you start you can put it down until completed. This is a calculated cutthroat story with satisfying frightful episodes. The author has narrated in such a way that it will surely leave the readers breathless with the razor-sharp precision and sine-chilling thriller. This novel is among the top ten bestsellers in the segment of vampire romance, paranormal and fantasy. It is recommended read in many book lover’s blogs and forums. The sensitive and utterly enthralling story gets it five stars in the rating. The novel holds its interest until the end of the story. The book is a perfect blend of romance, mystery and suspense. The great story and character development keeps the readers engaged to the book. The series is great asset to have in your book shelf. This series has the ability to compare with the series like Lord of the Rings. This epic fantasy is so addictive that it will glue you to the book. This book comes under the category of mystery of all times. The book is well written and the history of human origin is well depicted in the novel. The book contains a great story with nice plot and twists. This novel is recognized Wall Street Journal bestseller. The book is recommended for the readers who like easy read and a fun. More than 2000 times the book has received a five star rating. This is a great book to read. The characters of the book are great and it has a great story line with lots of twists and turns. The interesting story line has the ability of keeping its reader to read more and more till completion. Inferno is a interesting scavenger hunt book. This is a true entertaining book by Dan Brown that has excellent suspense story along with history and tradition. We have seen quite a number of book reviews in this article. All of the books are good in their genre. It is up to the reader what is his/her interest. There are suspense thrillers, romantic, real stories and many others in the list but few of them like Nothing To Envy, Night, Crazy Little Things and The Fixed Trilogy are worth mentioning. However, it is recommended to read all the books if possible as all of them would surely entertain the readers.